What is that one important thing you need in the first place in the morning? No doubt, you want to get fresh and so you need a toothbrush, right? Most of the people replace their old one with a new one every few months. They have to be changed regularly – the reason is simple! So what about the future of those thrown away toothbrushes? Every year millions of toothbrushes get collected in the landfills and oceans. They are not biodegradable and so ultimately pollute the environment and our natural assets. So to beat this issue, a number of naturally made toothbrushes are available in the market. Many of them claim to be 100% biodegradable too. But are they really worth your money? No. Many a time, they are not. So now you must be thinking how you can find a toothbrush that will be good for your teeth at the same time is not harsh on nature. The answer to your question is WooBamboo Bamboo ToothBrush. 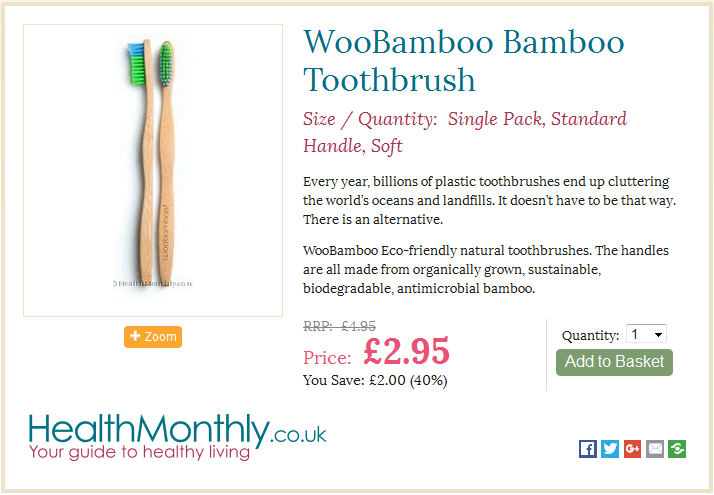 WooBamboo Toothbrush is a toothbrush which comes with bamboo handle and bristles that can be recycled. So in short, you can throw away the handle and take out the bristles. The bristles can be recycled and so will not harm the nature. Planning to shop for WooBamboo Toothbrush? Visit Health Monthly. Health Monthly is an online store that comes with a number of health related products. Here the products are available at discounted rates. 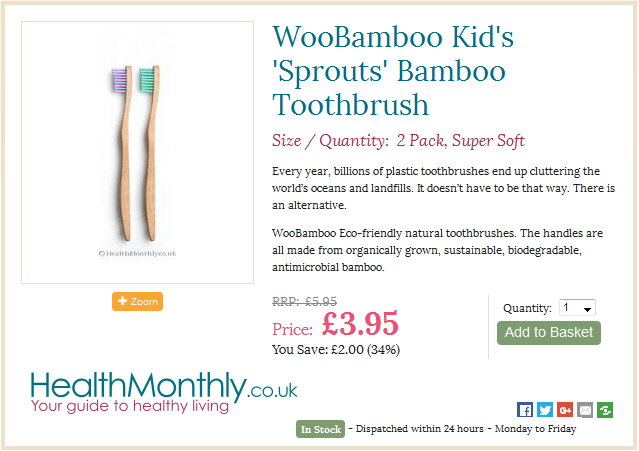 For example, you will find WooBamboo Bamboo Toothbrush at £2.95 and thus save 40% on your purchase. Moreover, making use of Dealslands offers and vouchers will help you save big on them. WooBamboo Toothbrushes are available in different forms. You can find soft, medium as well as super soft brushes. Super soft brushes are best for those sensitive gums and teeth. You can even find toothbrush for kids as well as for pet care. These toothbrushes are organic and non-toxic making it the best choice for your teeth and gums. If you are planning to shop at Health Monthly you can be sure that you are getting quality products. Moreover, they have a hassle-free return policy. So in case you are not satisfied with the product, better return it back. 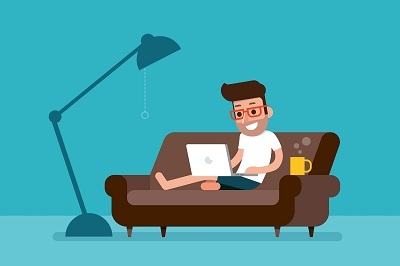 You can even enjoy the facility of free delivery when you place an order worth more than £40. 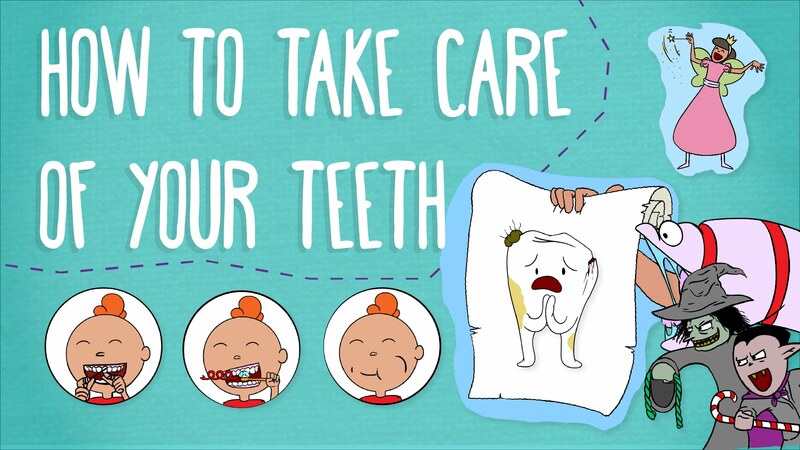 So now buy bamboo toothbrushes for your whole family and build up healthy gums and teeth.